Neha unfolded the paper that she took out of the envelope and laid it on the table. She wanted to read it once again, touch it and feel his presence. The writing was bold with slanting strokes flowing into each other that always made the perfectionist in her cringe but today it brought a smile to her face. What she would do just to see him scrawl away sweet nothings on the post-its like he used too. She eagerly read and devoured the words and sentences that had raced against the paper. She wanted to absorb them within her being, memorise them and murmur them while she lived and waited. They were hurried yet deep words as if he wanted to get them done before he set out for something urgent or important. I am fine and enjoying my tenure here at the highest battleground of the world, this ice bowl is like a frozen fantasy adventure land. I wish I could show you the view, the deep valleys and the endless peaks, the world full of white that reminds me of the Jasmine you love so much. It is not an easy place but the perennially snow-capped peaks, the sharp, glinting sun and the shrieking winds make for an astounding experience – a once in a lifetime kind! We are safe with our support and drill, the routine keeping us centred and calm. You don’t know much of what we do and how we do it but be assured that our Army knows how to take care of its own. This frozen land gives up none of its secrets but we will not stop till we ensure it knows we are here to stay. It is not a forgiving place as a single moment of carelessness can spell doom. There is no better place to bring home the awareness of our fragile lives than here. I see the tall mountains across and feel puny yet it is our collective strength that keeps us going. Remember you promised, you will not worry, for worry is a waste of time. As we always say I could just as easily die while crossing the road but death here, on this frozen facade is infinitely more welcome. Don’t be upset at my words, Ne since I left you have grown. The part of us that you have needs all your strength and love. I know since I am assured of the power of your love and yes, thoughts of you keep me grounded so I feel happy to share your love. Let’s call him Jai, just as you wanted too. It will be a few days before I call, till then, all my love. Raj. She caressed the letter as she closed her eyes remembering his smile, his soft, strong voice and those brown, naughty eyes as she tried to imprint it all on her mind forever. She had to, she needed to since that was what she had till he returned. And she read the letter once again. I am a proud army daughter and army wife, while separations and sleepless nights are routine yet sometimes the heart does skip a beat or two and not in a good way. I could not have chosen any other story than of our #ArmyWives for they experience #FragileLives each day and live to tell the tale. Jai Hind! The prompt for today is “Fragile Lives”. Blog-A-Rhythm is proud to present BAR-A-THON, the week-long blogging marathon for bloggers everywhere! Yes, that’s right. 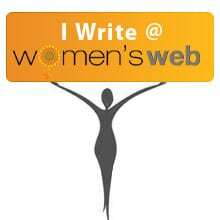 A whole week of blogging, keeping in mind the fact that the more we write, the better we get. #ArmyWives #BarAThon #blogarhythm #IndianArmy army wife BAR Indian Army Jai Hind love letter seperation writing writing challenge writing prompt. This post touched my heart Inderpreet. I know to join the army is a sign of great act of bravery and patriotism. But I personally salute each Army Wife and Mom. Jai Hind. Thank you, Rubina. Indian Army always inspires me. What a lovely touching post. Hats off to the men and women who keep us safe and even bigger hats off to their spouses. We countrymen owe a lot to you and yours. Thank you, Parul. Hats off to our soldiers. Salute to you & your family Inderpreet for giving the nation one of your loved one. Proud of you ArmyWife. God bless your family with centuries of togetherness. Aww! Thank you so much Nilima. Hugs dear. Respect to you folks. At Republic day functions, I used to wonder how the wives of the Param Vir Chakras remained so calm. Maybe, it is an outwardly calm. But, like you mentioned before, You are part of the team and know what it takes. Yes, Lata. We all know what is at stake and embrace it. Really the hardest thing is reading that letter aagin and again waiting for him. Thank you. I agree it is difficult but such is life. That’s a beautiful letter and it touched my heart. I must say that army men and army wives truly very strong people. Hats off to them. Jai Hind!